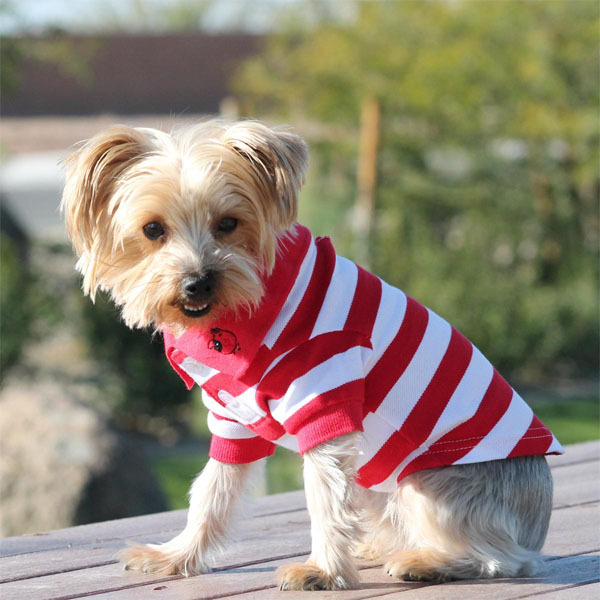 The New 100% Cotton Striped Polos come in 4 popular colors. There is an embroidered fun dog face on the collar. Measure your doggie. Please check #2 image under the puppy at left above.